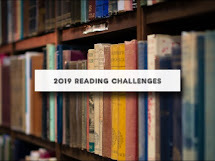 I’m still pursuing the 52 Books in 52 Weeks challenge, but the last few books haven’t inspired me to write lengthy reflections, so this is more along the lines of an update. Books: While I Was Gone, by Sue Miller, and Quiverfull: Inside the Christian Patriarchy Movement, by Kathryn Joyce. I seem to be on a run of pretty-good-but-didn’t-knock-my-socks-off books. I picked up the Sue Miller novel because it was on sale at my local library and I remembered liking The Good Mother when I read it, years and years ago. (I didn’t realize until after I got it home that it was an Oprah selection–I tend to avoid these out of sheer middle-brow snobbery.) Sue Miller does marital unhappiness with absolute brilliance. Contentment, not nearly as vivid. Quiverfull had its points. I’m not going to “review” it in part because it isn’t the book I would have written on the same topic, and I personally loathe it when a reviewer criticizes one of my books for that reason. (It happens fairly frequently.) It’s very much a book of outside reporting: I would have liked to see much more analysis of the phenomenon that Joyce chronicles, but she takes the position of an observer rather than a cultural critic. Any outsider account is bound to appear un-nuanced to those who have more of an insider point of view, and that’s certainly true of this book. Joyce does point out clearly the extent to which many home school venues and circles have been taken over by a movement with a very specific theological agenda–one which has nothing to do with good educational practice–and that’s a useful thing for home schoolers, particularly new ones, to be aware of.